Be like Madvillain, Dan the Automator, Avalanches and Kate Winslet's character in Eternal Sunshine of the Spotless Mind! Get more like that sweet tune from the beginning of Ghost World! Listen to this mix! It will make you twice as cool as you are now. After you've had enough (hah! as if that's possible), you can look at my MP3 blog about music from India, America and everywhere else, Universal Pop. Making a CD? Use Rick Elizaga's totally sweet cover art! The film industry in Bombay, which is now called Mumbai for reasons which have more to do with regional and religious intolerance than with anticolonialism, is the biggest in the world. It makes almost double the number of movies and sells a billion more tickets each year than Hollywood. There are big industries in other areas of India, producing a lot of movies in local languages, especially Tamil, Telugu, and Kannada, but most of the time, the quality is lower (and Bollywood itself is already famous for making a lot of stinkers) and the number of mustachios higher. The main exception is West Bengal, where the Indian intelligentsia are centered in Calcutta (now Kolkata), and where some art movies are made, notably by Satyajit Ray (d. 1992). The Indian theater and literature scenes are also mostly in Calcutta, although Bombay and, to a lesser degree, Delhi and Madras (now Chennai) also have stuff going on. All these other industries are involved with Bollywood, though. Often, actors and actresses will get recognized because of their work in regional cinema, and sometimes movies are made bilingually. For instance, Asoka was produced in both Tamil and Hindi, despite starring Shah Rukh Khan and Kareena Kapoor, both big-name Bollywood stars. Actually, I think the Tamil version of "San Sanana" is better than the Hindi one, but I couldn't download it, and I only have a tape. The most famous composer these days, A.R. Rahman, is Tamil, but now writes the music for some huge number of Bollywood movies, as well as Tamil movies. Having music by a famous composer like Rahman or the Kalyanji-Anandji duo, who were roughly his '70s equivalent, is as likely to make a movie a hit as having big stars, because of how much Indians love their movie music. Every movie has five or ten song-and-dance numbers scattered throughout its three hours, during which the stars lip-sync and dance, Busby Berkeley-style, to songs prerecorded by famous playback singers. The most well-known are Asha Bhosle, her sister Lata Mangeshkar, Mohammed Rafi and Kishore Kumar. Supposedly, Lata has sung in almost 20 languages for over 1,825 films, worked with 165 composers, and made 8,000 recordings overall, more than anyone else. Sometimes the songs in a movie are related to the actual action, but not always in any obvious way. Speaking of action, virtually all Bollywood movies contain the same elements, but in different proportions. They all have romance (but you almost never see a kiss), comedy and action, and often overt patriotism, sometimes to the detriment of Pakistan. These days, though, a lot of movies try to be pacifist and promote harmony. Everywhere you go in India, Bollywood music is playing. Except in the Punjab and Goa, movie music seems to be almost the only pop music that exists, and Indian classical music has more or less the same status as Western classical music does here. It's an acquired taste for an American, but it's a terrific thing once you develop a liking for it. Songs like "Mera Man Tera Pyasa" make me comfortable in a quiet, irreplacable way, and "Ina Meena Dika" is almost on the level of Louis Armstrong for fun. I limited myself to one song per soundtrack, but I gave in and put a couple more songs on this site than on the actual CD. If you're burning the CD, by the way, you might have to fiddle with track times in order to get it all to fit. If you like these songs or want to see the dances that accompany them, rent them at your friendly local Indian market. I haven't seen all of the movies these songs are from, but the dances from Dil Se, Hum Dil De Chuke Sanam and Devdas are especially great. Those are all excellent movies and good introductions to modern Bollywood, as is Lagaan, and all of them have other awesome songs on their soundtracks. Lagaan might be the best introduction, because it explains a lot of things for the benefit of Westerners. For example, "Radha Kaise Na Jale" has a couple of meanings. In the movie, one character's jealous of another, and they explain it in mythological terms of Radha's jealousy for her lover Krishna's wife. Just because the movie's easy to understand doesn't mean it's watered-down, though - it's a real Bollywood movie, and it was a huge hit in India. To give fair warning, though, there are definitely a couple of sucky English songs on the soundtrack. I know less about older movies, but two that have great songs are Don and Kabhi Kabhie. 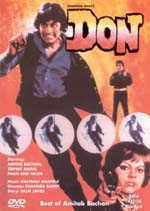 Don is a totally sweet gangster movie, and Kabhi Kabhie is a lovely romance. Incidentally, it's based on the same real-life affair that Amitabh Bachchan had as Silsila, but the difference is that Silsila is a crappy movie with only one good song. In general, look for movies with Aishwarya Rai or Kajol in the female lead, and Shah Rukh Khan or Aamir Khan (like the slimy Salman Khan, no relation). Also, anything with Amitabh Bachchan is probably good, at almost any time of his long career. Bollywood movies are in Hindi, which is the main national language of India, of, I think, 17. Most people speak it to a degree, although maybe not that well in places like Tamil Nadu, which has a big political movement against Hindi, which is seen there as a Northern imposition. Most people in cities speak some English, but not everyone is fluent. Still, it looks cool to speak English, so a lot of Bollywood movies include English phrases like "Better luck next time" and "Rock and roll, man!" Since it's in the nature of escapist entertainment to be fascinated with the rich, a lot of Bollywood movies, especially these days, are about Indians who have struck it rich in England or America. A lot of the time, they come back and realize that they need India, and girls wearing skanky Western clothes often put on a sari or a salwar-kameez and show their true nature as good Indian daughters. It's not that simple to just say they're in Hindi, though. Before Independence in 1947, a lot of people in the North actually spoke a related dialect called Hindustani, which was written in Arabic script regardless of religious community. Incidentally, a common mistake is for people to refer to Hindi as "Indian," implying that there's only one Indian language, but "Hindustani" really just means "Indian" - "Hindustan" and "Bharat" being the most common names for the country, other than "India." Since Independence, though, most Muslims speak Urdu, which is written with the Arabic alphabet in a slanting style called Nastaliq. Urdu speakers are proud of Nastaliq, since they feel that Urdu is one of the most beautiful languages in the world and this way of writing is more beautiful than the flat way they write in the Middle East. I think they're right, too - it's one of the most graceful writing styles. Hindus, Jains, Parsis (Zoroastrians originally from Persia), and Buddhists speak Hindi, written with the Devanagari alphabet, which is also used for Sanskrit. By the way, most Indian Buddhists, these days, are converted low-caste Hindus who aren't necessarily very Buddhist the way we think of it. Of course, like I said before, there are a lot of regional languages with a lot of speakers. For instance, Telugu, spoken in Andhra Pradesh, whose capital is Hyderabad, has 71 million speakers and was the most widely spoken language in India before Independence. Urdu and Hindi, though, aren't that different. In theory, Urdu is more Persianized and Hindi is more Sanskritized, and literary Urdu definitely is that way, and the government and media speak Sanskritized Hindi. But really, most people speak Hindi that's more or less Persified depending on their community and fairly heavily influenced by English, but never as Sanskritized as Hindi on the TV news. There are differences in dialect, like how Urdu speakers will say "sar" for the English "head" and Hindi speakers will say "sir," but most people will prefer to say "university" instead of "vishwavidhyalya," which is what you're supposed to say in "real" Hindi. And there are regional dialects, too. Many Northerners will pronounce "vegetables" as "sabzi," which is the way you say it in Farsi and Urdu, but some in areas like Uttar Pradesh and Delhi will say "sabji," because "z" is one of the sounds that Hindi doesn't have. Given that it's not always obvious what the difference is between Urdu and Hindi, it's actually more accurate to say that Bollywood movies are in Urdu, mostly because it's considered more beautiful than Hindi. Religion, which is the ostensible difference between the dialects, is a tricky thing in movies, because nowadays, moviemakers often try not to offend anyone - although other times, they're complete demagogues. Sometimes people seem to switch religions during the course of a movie, but even when a character is obviously Hindu, she'll often speak Urdu, or especially sing it, for beauty. Also, my friend Daniel, who helped me with this page, told me that after Independence, when the film industry was starting, "Muslims were those who wrote poetry and songs and went to courtesans, and these courtly cultured people shifted to film after the nawaabs lost money. And the langauge of education was Urdu, so the screenwriters all spoke and had their entire education in Urdu. Therefore, it was only natural for them to write in Urdu. Also, a 'respectable' Hindu would not act in a film." transliteration is hard. Even in Hindi, variant spellings are common; hardly anyone observes the differences between the two kinds of "n," and people mix up the three kinds of "s" all the time. "A" might sound like "but" or "star," "u" might sound like "book" or "but" or "boot," and those are just the sounds that are possible to spell like English. Hindi has "s" and two kinds of "sh," four kinds of "t" (two front, two back, two with an "h" afterward, two not), six kinds of "d" (the same four kinds, plus two flips that are sort of like "r," but you try making an "r" while breathing hard and with your tongue flipped back [a retroflex aspirated flap, for linguistics nerds]), etc. Sometimes "kh" is just pronounced like it looks, and sometimes it's pronounced like the German "ch," when it's an Urdu/Persian word. Sometimes "n" is "n," and sometimes it's just a nasalized vowel. And some letters are the same in Hindi but different in English. "V" and "w" are the same letter (and in Urdu, "v," "w," "u" and "o" are all the same letter), and it's a matter of taste or dialect how which you pick. "Th," though, never sounds like "the." Hindi has a somewhat complicated grammar, but without trying to teach sentence structure or anything (except to note that prepositions in Hindi are actually postpositions, so "Dil Se" means "From the Heart," not "Heart From"), these words might be useful in understanding the gist of Bollywood songs. Most of them are love songs, which right away makes things easier. If a word ends in "a," it can often also end in "on" (one of those nasal vowels), "i" or "e." Like I said, it's hard to transliterate, and a lot of the spellings below are the common ones rather than the consistent ones ("suraj" sounds like "soo-ruhj," but "sub" sounds like "sub," not "soob"). But anyway, I've listed them by the English alphabetical order of the Hindi words. I'm not sure if that makes sense, but it was a lot of work, so I'm not changing it. Actually, it hasn't been a lot of work yet, because right now, as I'm writing this, I haven't done most of it yet, but I can't think of a better way. The words are coming out all weird... Alright, so you've listened to all these songs, and now you know what you like, or maybe you just want more, more, more. Maybe you want to know what to listen to, watch and read. 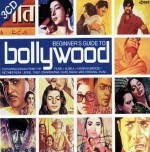 Beginner's Guide to Bollywood ~ This 3-CD set is probably the best introduction - it costs no more than all the single-CD anthologies, and it has a big range of styles and decades, and just a lot of great tunes. 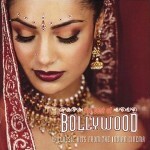 The Rough Guide to Bollywood ~ As always, you can trust the Rough Guides for a solid, well-annotated introduction. 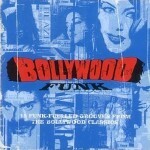 I Love Bollywood ~ Cheap, and includes a lot of good songs, including the wonderful "Dum Dum Diga," by Mukesh. The Kings and Queens of Bollywood ~ Good, funky '60s stuff. Bollywood Funk ~ More wild tunes from the '60s and '70s. Bombay the Hard Way ~ Remixes of crazy old '60s songs by Kalyanji-Anandji but, unlike every other Bollywood remix ever, not crappy. Golden Voices from the Silver Screen, Vols. 1, 2 and 3 ~ These are solid compilations, but nothing special; however, number 2 is one of the few compilations to include a song by the lovely, sentimental Mukesh. 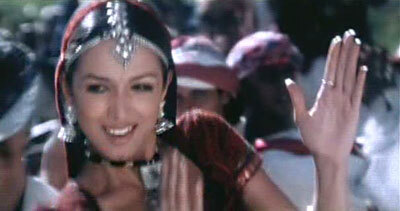 The Best of Bollywood ~ A good set, but there's no Asha! The Very Best Bollywood Songs, Vol. 2 ~ Nothing remarkable compared to other CDs, and too expensive, but it includes the catchy, tacky rocker "Papa Kehte Hain," from the 1988 Romeo & Juliet movie Qayamat Se Qayamat Tak. 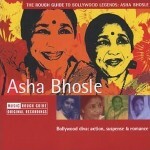 The Rough Guide to Asha Bhosle ~ Tons of hot songs. 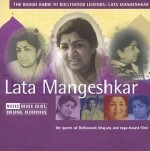 The Rough Guide to Lata Mangeshkar ~ Lots of great Lata tunes. 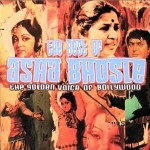 The Best of Asha Bhosle ~ Can't go wrong with any Asha comp, but the Rough Guide one's better. 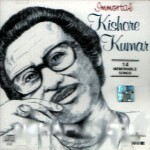 The Immortal Kishore Kumar ~ A massive bundle of Kishore, if you don't know how to stop. You've Stolen My Heart: Songs from R.D. 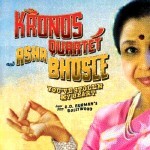 Burman's Bollywood ~ Asha Bhosle sings with the Kronos Quartet: some of the songs are just the originals with strings attached, and some are really different. Pretty fun, if you dig this sort of thing. The Rough Guide to Mohd. Rafi ~ Just as good as the other Rough Guides. 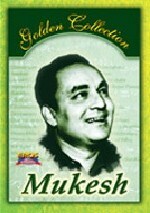 Golden Collection: Mukesh ~ If you love you some ballads, this is for you. Guide and Jewel Thief ~ Terrific old love songs and a few dance numbers. Teesri Kasam and Jis Desh Mein Ganga Behti Hai ~ Beautiful old ballads. Yaadon ki Baaraat and Hum Kisise Kum Nahin ~ Jazzy R.D. Burman love. 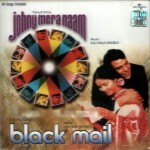 Johny Mera Naam and Blackmail ~ Fun old dance numbers. 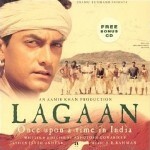 Lagaan ~ Neo-old-school tunes, catchy despite their good taste. Teesri Manzil and Caravan ~ Awesome, funky bunch of songs. 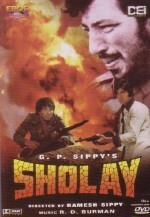 Sholay ~ Amitabh Bachchan in the most popular movie of all time, and one of the best, too. Lagaan ~ Aamir Khan, cricket and evil colonialists. 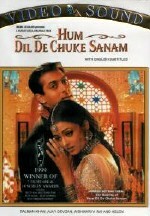 Hum Dil De Chuke Sanam ~ Sappy, but kind of great. 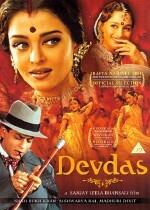 Devdas ~ Shah Rukh Khan and Aishwarya Rai - which one is hotter? Bunty aur Babli ~ Amitabh Bachchan, his son Abhishek and Rani Mukherjee in a rad caper flick. 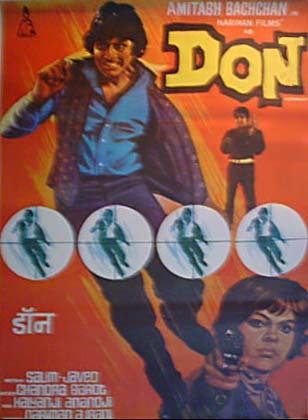 Don ~ Amitabh Bachchan as a sweet gangster and a goofy impersonator of the same sweet gangster. 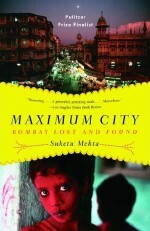 Maximum City, by Suketu Mehta ~ A remarkable book about every aspect of Bombay, including films, music, gangsters, prostitutes, slums, police and food. 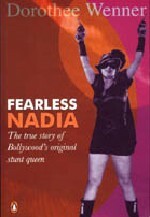 Fearless Nadia: The True Story of Bollywood's Original Stunt Queen, by Dorothee Wenner ~ A fascinating book about Fearless Nadia, a tremendously popular stunt actress of the silent and early sound era. So Many Cinemas, by B.D. 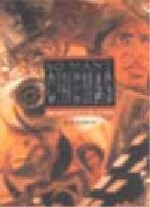 Garga ~ An expensive, but very thorough, history and description of Indian film. 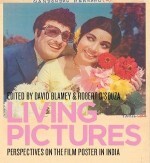 Living Pictures: Perspectives on the Film Poster in India, edited by David Blamey and Robert D'Souza ~ A beautiful and elegant book of essays on Indian movie posters. Behind the Scenes of Hindi Cinema: A Visual Journey through the Heart of Bollywood, edited by Marijke de Vos and Johan Manschot ~ A nice big book of essays and pictures about the visual culture of Bollywood. 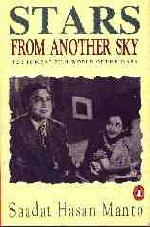 Stars From Another Sky, by Sa'adat Hasan Manto ~ Wonderful essays about the Bollywood of the '40s, by Manto, one of 20th-century India's greatest writers. 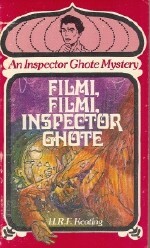 Filmi, Filmi, Inspector Ghote, by H.R.F. Keating ~ A frothy murder mystery on the set of a Bollywood movie. I've got an MP3 blog called Universal Pop, where I post Bollywood songs and other pop. I made an elaborate chart of the characteristics of a bunch of movies that you can use to pick which one to watch. Philip Lutgendorf, a University of Iowa professor, has a thorough and well-written review site. UpperStall.com takes itself a little seriously, but it's extremely informative, especially about art films and older movies. ApunKaChoice (My Choice) and Planet Bollywood have useful reviews, and BollyWhat? is a huge messageboard for both newbies and experts. WordAnywhere is an alright two-way Hindi-English dictionary, with some Telugu, but you have to spell things the way it wants you to. 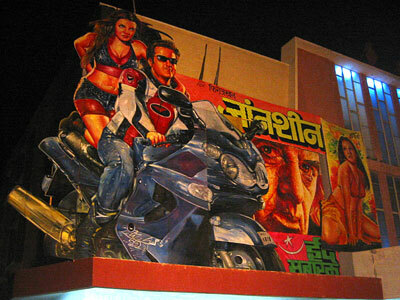 Bollywood Torrents and DesiTorrents have a lot of BitTorrents of new and old movies. 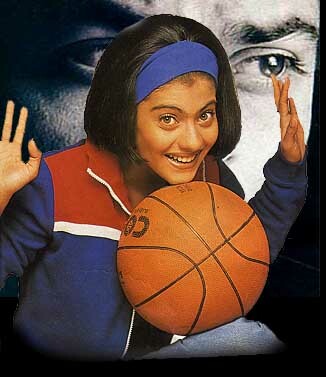 You can listen to streaming Bollywood songs at Rare Kishore Kumar Songs and Smashits. The Hot Spot is a great Pakistani site with a wealth of poster for Bollywood and Lollywood (Pakistani) movies. Thanks to Manan Ahmed, Anil Kandangath, Divya Manian, Daniel, Nitin Vartak, and Deepak Sarda for help with this page. I'm David Boyk, and you can email me at davidboyk at gmail.com. This page was made in December 2004, in order to procrastinate during finals, and last updated on June 22, 2006.